Watch We Need to Talk About Mam on RTÉ One on Monday 5th November, 9.35pm. He is an Irish household name having worked as a fashion presenter and designer for over 20 years but lately, Brendan Courtney has been opening up to the public on a personal level. Last year, in the heart-wrenching RTÉ documentary We Need to Talk About Dad, Brendan shared the story of his father, Frank, who was left paralysed on the left side of his body following a stroke. While trying to provide care for his father, Brendan realised the lack of resources and funding that families face when caring for a loved one at home. One particular issue that he highlighted was the fact that such funding exists for nursing home care through the Fair Deal scheme but that it does not extend to home care. Sadly, soon after the documentary aired, Frank passed away. 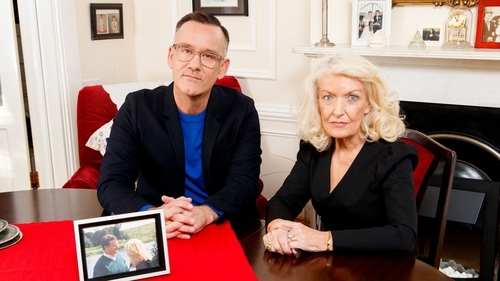 Now, Brendan is once again opening up his family home in the RTÉ documentary We Need to Talk About Mam where he discusses his mother, Nuala Courtney. Following her husband's death, Nuala is learning to live her life as widow dealing with the emotional and financial fallout of a 50-year marriage, one that ended through no fault of her own. She has the support of her four children but how much responsibility do we need to take for our ageing parents? And how much should the government be doing? As a nation, are we ready to care for the needs of our ageing population? Along the way they visit a unique co-operative housing initiative in Kildare which replicates the ‘Student Dormhouse’ experience for its’ 65+ residents, they hit the Irish ex-pat retiree trail to Alicante and experience life for the perma-youthful residents of an Active Adult Community in Florida. Watch We Need to Talk About Mam on RTÉ Player now.